Corporate photography and videography requires thinking about how to collect images and sound bites that provide future viewers with the most comprehensive information possible. At Las Vegas Photo and Video we have some tips for getting the best shots at a corporate event. Focus on shots of leaders of the demonstration or event. Such leaders generally have an eloquent and strong way of speaking that conveys the main ideas of the event. Find a stable position to capture up-close shots of these people. Images are a powerful part of the storytelling process. 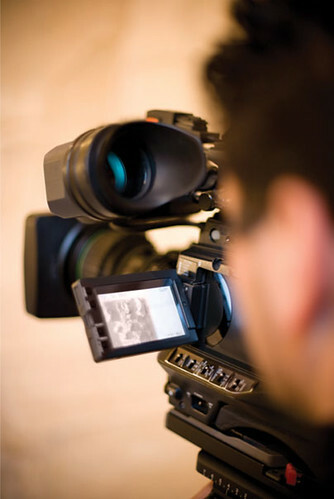 Film a range of demonstration images and activities that best illuminate the number of participants at the corporate event. Capture as many b-roll or loose shots that portray the strong emotions of the demonstration as possible. This also helps the editing process, as it allows for breaks in action. A method frequently used by television reporters, vox-pop involves walking up to random people on the street and asking them their opinion about certain subjects. Use this method at corporate events to find out why people are there and about the event itself. It’s also a good idea to get a few b-roll shots of each subject once the interview is complete. Have tips of your own you’d like to share? Leave a comment.